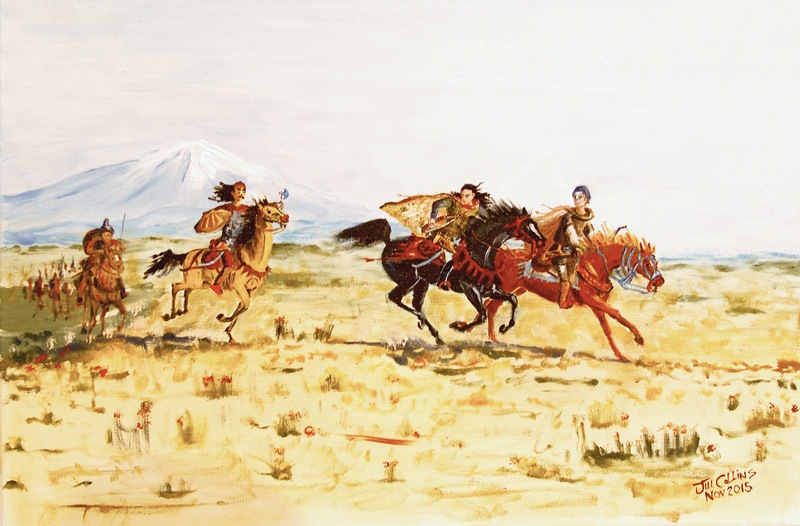 In A Dowry for the Sultan LANCE COLLINS recounts events that were, he claims, ‘the genesis of the first genocide in the twentieth century’: the massacre of Armenians during and after World War 1. However, this novel is an exquisitely detailed account of a massacre averted. It recounts how in 1054, in the predominantly Armenian town of Manzikert, on the eastern rim of the Byzantine Empire, an invading army of Turkic warriors from the steppes of Central Eurasia led by the great Seljuk chief Tughrul Bey, are beaten by a concerted weave of courage, imagination, and love. 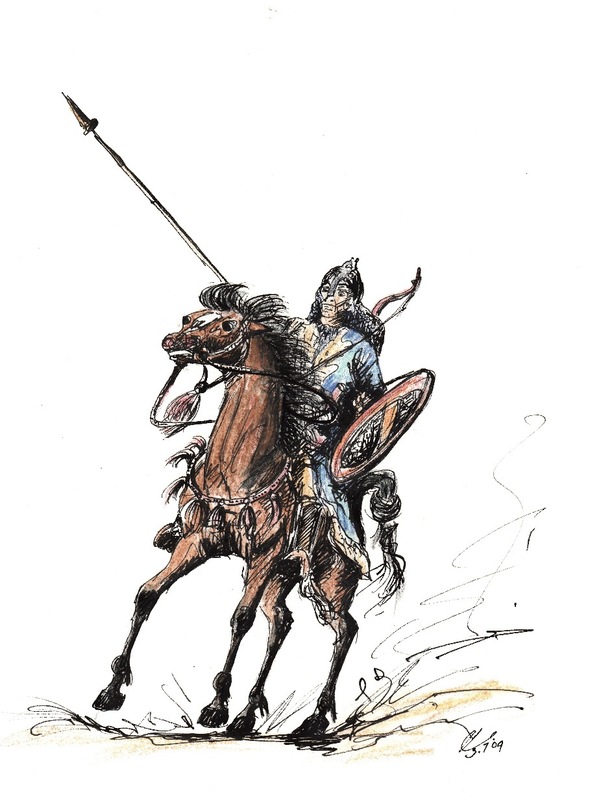 (The victory, however, was brief, for the steppe warriors returned to Manzikert seventeen years later and defeated the armies of the Byzantine Emperor Diogenes, opening up Anatolia, in what is now the Republic of Turkey, to the mass-migration of Turkic herders and their flocks). As the Australian Defence Force’s top military strategist for years, author Lance Collins is well versed in the military history of imperial conquests, and has an abiding concern for the fate of small nations whose existence challenges the strategic interests of great powers. He first heard about the Armenians’ defence of Manzikert against the Turkic invasions while he was attached to the Headquarters of the 3rd US Army in Kuwait during the withdrawal of UN weapons inspectors from Iraq. By describing the events in Manzikert in 1054 as ‘the genesis of a genocide’, he is drawing a direct link between the imperial invasions of the eleventh century and the ‘Armenian Genocide’ nearly a thousand years later by Ottoman government forces in the early twentieth century. As he will discuss at the launch of A Dowry for a Sultan, Lance Collins also connects these events to Indonesia’s genocidal policies in East Timor and West Papua where he has himself witnessed the long-term consequences of war, persecution and trauma on people’s lives, and the ongoing impacts of what we now call post-traumatic stress disorder, or PTSD. “We need to recognise the truth of what transpires and oppose these crimes, whether against Armenians, East Timorese, or West Papuans,” he says. Lance Collins is more than qualified to comment on Indonesia’s interventions in East Timor and West Papua. As Australia’s Senior Intelligence Advisor to Major General Cosgrove in East Timor after the independence referendum in 1999, he observed the death and destruction the Indonesian Army left behind as its troops killed an estimated 1,400 East Timorese civilians, wounded, maimed, widowed and orphaned thousands more, and forcibly transported some 271,000 to West Timor, the Indonesian half of the island. Collins had warned Canberra that the Indonesian army would probably respond violently if the East Timorese voted for independence, but his warnings were ignored. Like thousands of other Australians, he was forced to stand mute as people were murdered, and their towns and villages were razed to the ground. Since leaving the Australian Defence Force in 2004, Lance has, with former ASIS officer Warren Reed, co-authored Plunging Point: intelligence failures cover-ups and consequences, and is now completing a doctoral dissertation at Deakin University under the supervision of Dr Scott Burchill, Senior Lecturer In International Relations. He has consistently argued that it is neither in Australia’s security interests nor in Indonesia’s national interest to ignore West Papuans’ long-standing political aspirations for independence, especially now that the nation of West Papua has been accorded diplomatic standing and observer status in the Melanesian Spearhead Group and the Pacific Islands Forum. Lance was born and raised in rural Australia, and has a deep love for the environment and for humanity. He also has a deeply ingrained sense of what’s right and wrong, of what’s moral and ethical, and what should be done when greater powers use military force against small nations, as he revealed in the ABC’s Australian Story documentary, Burnt by the Sun, broadcast in 2005. His novel, A Dowry for the Sultan, similarly reveals his support for small nations and his commitment to historical truth and justice. Audio Recording: Ralph Pliner auctioning ‘Publisher’s Proof’ of Lance Collin’s A Dowry for the Sultan. Ralph Pliner is an international mountaineer, and one of three Australians who has climbed West Papua’s Mt Carstensz, the highest summit in Australasia.